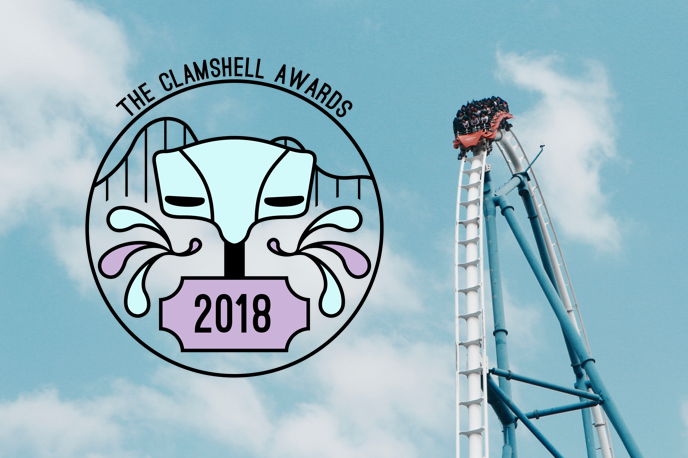 I can't believe it's been an entire year, but I'd like to welcome you all once again to The Clamshell Awards - a celebration of theme park and theme attraction content creators! For those who don't know, I kickstarted these awards here on Cupcakes and Coasters one year ago as I saw a gap in the market for a little something to praise and rewards all of the theme park content creators who spend all season tirelessly working away to bring us a whole word of exciting themed attraction related content that allows the enjoyment and thrill of a day out at one of these magical places to transcend the gates of the park. As we well know, the theme park community can be a sour place at times, so I created The Clamshell Awards to reignite a bit of love and passion between us enthusiasts and give us the chance to give a big well done to those creators who really deserve a round of applause for their work! We'll kick things off with the big one - Best Established Channel! This is your go-to YouTube channel for all things theme park related - a household name on any theme park enthusiast's list and the creator whose upload schedule you plan your life around so you never miss a new video. This category is a shout out to the newbies - they may not have been around as long as some of the bigger names in the community but they have landed with a bang and had you smashing that subscribe button after your very first viewing. They've quickly become a staple of your theme park channel viewing habits and you almost can't imagine a time without them! Our first new category for 2018 is the Best Small Disney Channel! Disney is such a powerhouse in the theme park industry itself so it's only to be expected that with that comes a whole host of Disney specific theme park channels. Exclusively for channel with 10,000 subscribers of less, the Best Small Disney Channel is the one that has you feeling that Disney magic and crying along with the parades and fireworks even if you haven't visited in years. It's not all about the YouTube content! Whose Facebook page had you hit the follow button and never look back? 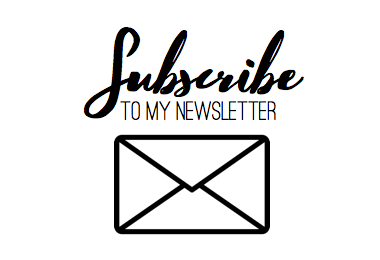 Whether it be a personal channel sharing updates from their various theme park trips around the world throughout the season or that channel that's always first to the plate at sharing the latest theme park news and gossip, this person consistently pumps out engaging and interesting content that brings joy to your newsfeed. It's all about the community! Which Facebook group has left you with lifelong friends, in-jokes that have you creasing up like a weirdo whilst you're sat at your desk at work and up bickering til 4AM to get the last word in? Second new category for this year is Best Theme Park Gamer! Who consistently blows you away with their intricate and elaborate designs in Planet Coaster or leaves you drooling for their design to become a reality in NoLimits? In celebration of stunning theme park photography! Whose account gives you camera envy, knows how to work a filter and has the best eye for capturing all the magic and joy we find on a day out at a theme park? The final new category for The Clamshell Awards 2018 is Best Podcast! Which podcasters had you roaring with laughter in 2018, brought you info and facts you never knew about your favourite parks and really made you feel like you were along for the ride as they debriefed about their most recent theme park trip or got stuck in to the latest community gossip? Sometimes it's nice to take a break from YouTube and sit back with a scroll through your favourite theme park blog. Which blogger has you always on the lookout for their latest content, has all the best info on trip planning and advice and whose opinion do you always research before heading off on trips of your own? Phew! As you can see, a whole bunch of categories to go away and thinking about and such a wide range of content creators to recognise and celebrate. Its going to be a tricky one to whittle down this year for sure! I'd like to take this moment too to thank the sponsors for each category for their incredible generous prize offerings that I am super excited to bring to you - these awards wouldn't be the same without them. Nominations are now open! Please DM me on the Cupcakes & Coasters Facebook Page with your nominations using the below template. Nominations will be open for nine days and will close at midnight on Thursday 6th December, so please make sure you've submitted your form by them as any shared after will not be considered! From those nominated, a shortlist will be created and a voting period will follow. The winners will be announced on the evening of Sunday 16th December. I'd recommending two creators per category. You don't have to nominate for every category if you don't want to, nor do you have to select two for each category, but it helps keep the nominations varied and hey, it's more fun that way! But it's entirely up to you the way you do this. There's a few house rules, but nothing too heavy unless stated otherwise in the category descriptions above. Essentially if the content creator in question produces content that fits said category then they will be considered. And for the sake of variety and fairness, and as The Clamshell Awards are a celebration of the diversity of the content the community creates, a maximum of two categories can be won per creator. Should a creator win a third category then the win will be voided and the prize will go to the runner up. It's no fun if one channel sweeps the entire awards! Also whilst we're here, I was incredibly flattered to find that I was nominated by some of you for several categories last year. As I'm the organiser of this shindig, please opt to nominate someone else as it'd be a little weird for me to win at my own awards (as much as I love the ego boost haha!) And finally, the final decision will be that of myself and Cupcakes & Coasters based on the public vote - however results will be available upon request should you wish to see them. So there you have it - all you need to know about The Clamshell Awards 2018 - so go get nominating! And dn't forget to use #TheClamshellAwards18 to let everybody know you're involved. You, my lady, are unbelievable! To create these awards for the coaster/theme park community, and gain sponsorship...you're the real deal! Your content is awesome, fun, entertaining, and of high quality. You deserve any award that comes your way and you're humble enough to bow out and showcase others. Simply put the world needs more of you! Hi, I'm too new to this to nominate in all catergories and I'm not really into facebook and instagram (though I used to say that about Twitter! ), so this is a reduced nomination list. Hope thats OK. Thanks for your nominations but please can you DM these to me on Facebook for these to be considered. Thanks! Thanks again for organising this fab contest! Heya, please head to my Facebook page if you'd like to make a nomination! I want the best newcoming nominee to be Mr. Roller Coasters... his channel really is incredible!! !